Have I confused you with the title? 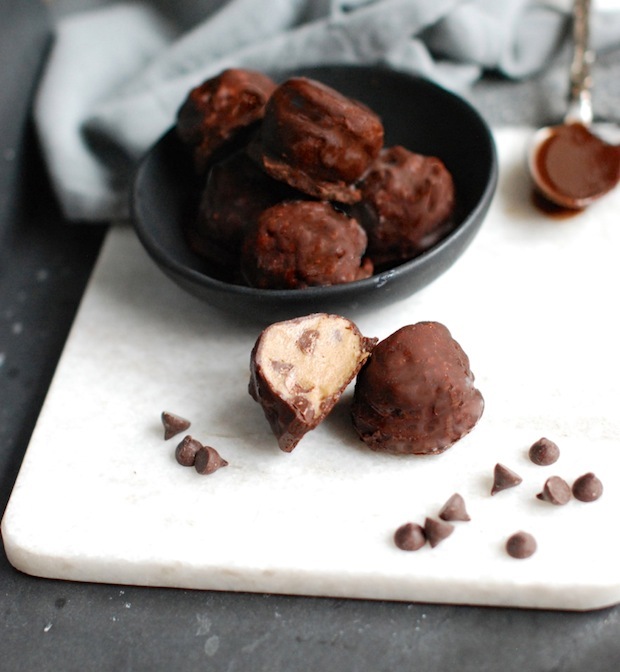 Healthy cookie dough balls? Ummm, yes please. When it comes to making healthy treats, I often refer back to one of Vancouver’s most respected food reporters and bloggers, Erin Ireland. 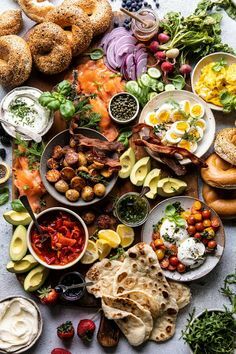 She is an incredible resource for dining destinations right here in Vancouver on her blog, It’s To Die For …Pam and i have found her recommendations never disappoint. Beyond that, Erin is passionate about healthy eating and shares many of her plant-based recipes on her blog, just like this one. Is this the moment where I confess that I hid these cookie dough balls in my freezer and snuck some out every night to enjoy with a cup of tea?? And made another batch as soon as the first had disappeared? 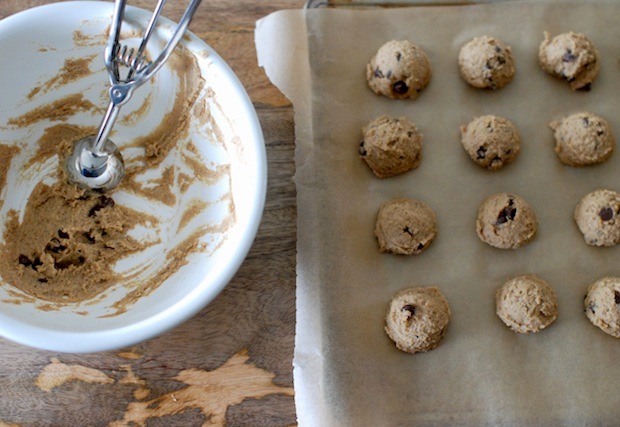 The base for these cookies is chickpeas and nut butter. Blended in a a food processor, this dough is silky smooth and good enough to eat right away! I do agree though, that the chocolate shell coating is an added touch of guilt-free decadence. I also love the cinnamon in this recipe…don’t skip it…it adds the perfect flavour. 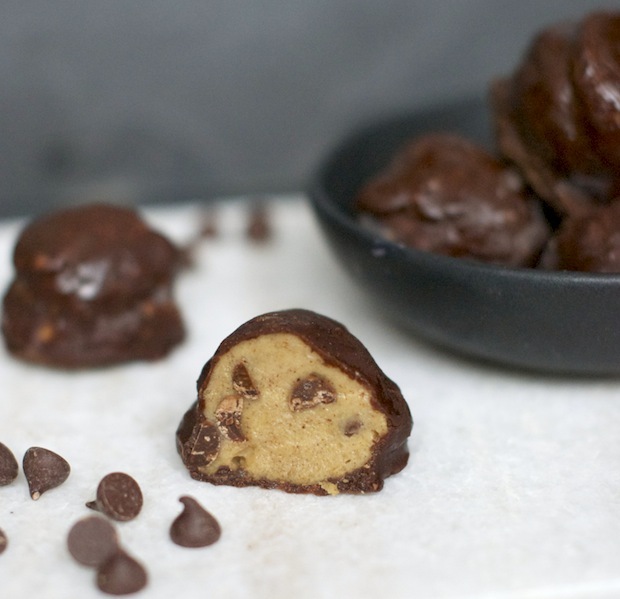 Combine all dough ingredients, minus the chocolate chips, in a food processor and pulse until silky smooth. Transfer mixture to a bowl and stir in the chocolate chips. Set in the fridge to firm up. In a double broiler on the stove, heat your coconut oil and then add cacao powder, maple syrup and salt. Stir until completely incorporated. Remove from heat and set aside to chill a bit. Remove dough bowl from fridge and, using an ice cream scooper (any size you wish), create dough balls. Place these on a parchment lined plate or cookie sheet and place in freezer for about 20 minutes to firm up some more. This will make them easier to roll into perfect spheres. 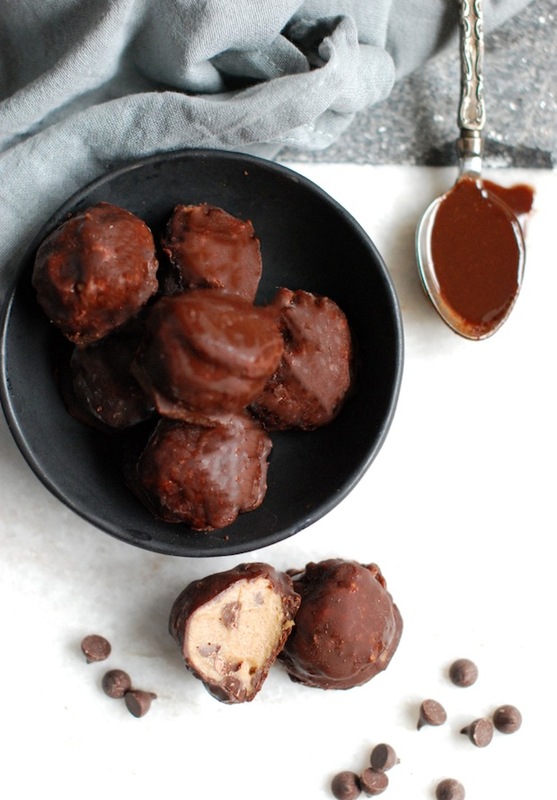 Once nice and firm, remove dough balls from freezer, roll into balls with your hands and dip into chocolate. 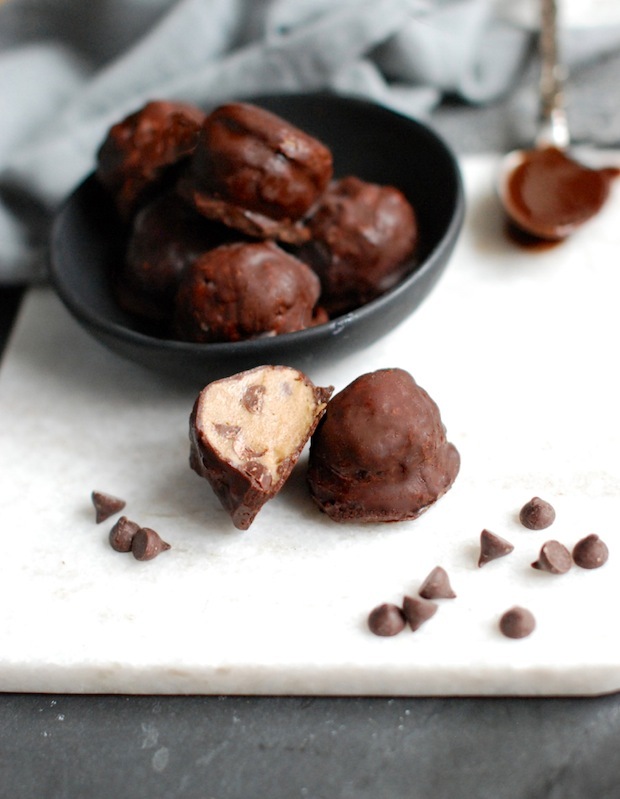 Repeat this step to create a thicker chocolate shell…and if you want to get really crazy, you could roll freshly dipped balls in coconut, chopped nuts, or more mini chocolate chips.